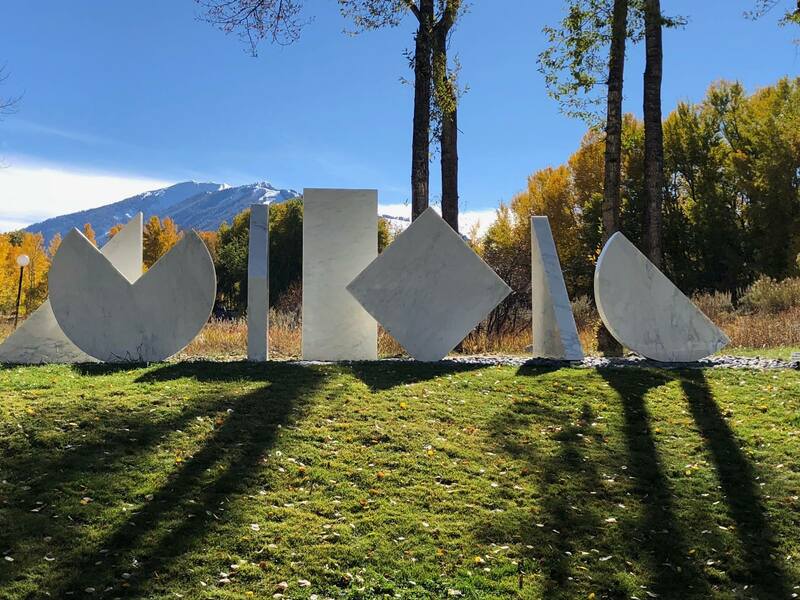 In 2019, Aspen and the Roaring Fork Valley join an international celebration of the 100-year anniversary of the Bauhaus. Numerous local organizations will collaborate on events to celebrate this modernist art school, honor its impact on Aspen, and reignite the creative power that began a century ago. Bauhaus 100: Aspen will commemorate the influence of the Bauhaus on Aspen and reveal the many ways that it has impacted the City of Aspen, and continues to influence and inspire artists, designers, architects, landscape architects, musicians, and thinkers in Aspen and the Roaring Fork Valley. While plans are being finalized, events will kick off in Jan. 2019 and continue through Aug. 2019. The theme of the celebration is Our Legacy, Our Future/Work-Play-Create reflecting Aspen’s Bauhaus legacy, primarily with Herbert Bayer, who was a student and a teacher at the Bauhaus and was considered one of the last of the Bauhaus Masters. Herbert Bayer relocated to Aspen in 1946 at the invitation of Walter & Elizabeth Paepcke to design the Aspen Institute. He lived in Aspen until 1975 and had a legacy of transforming Aspen into a town that accepted modern architecture. Another significant Bauhaus influence was photographer Ferenc Berko, who was a student at the Bauhaus and was part of the fabric of the transformation of modern Aspen, photographing for the Aspen Institute, the Aspen Music Festival, the Aspen Skiing Company and others during the renaissance of modern Aspen. Discover more about the Bauhaus and Aspen connection here. Jan 10 - 13: Bauhaus themed Wintersköl™ Celebration— Wintersköl, Aspen's annual "toast to winter," dates back to a quiet January in 1951 when local Aspenites decided to celebrate Aspen's unique Nordic lifestyle with an eclectic weekend of festivities. The four-day celebration features on-mountain activities, free events around town, fireworks over Aspen Mountain, and much more. January – August: Aspen Historical Society — Herbert Bayer exhibition and Bauhaus- focused City tours. June 6, 2019: The Bauhaus Ball —A free community celebration at the Wheeler Opera House with a Bauhaus-inspired costume contest, Bauhaus films and more. June 24 - 28, 2019: Anderson Ranch: Fourth of July Parade Float Workshop— (for children only) Art workshop with participation in the Fourth of July parade. July 2019: Heike Hanada, architect of the new Bauhaus museum in Dessau will be lecturing at the Aspen Art Museum in July. Aug. 4 - 7, 2019: Aspen Institute Bauhaus Program Seminar— A deep dive into Bauhaus with lectures as well as Society of Fellows: Bauhaus Program. 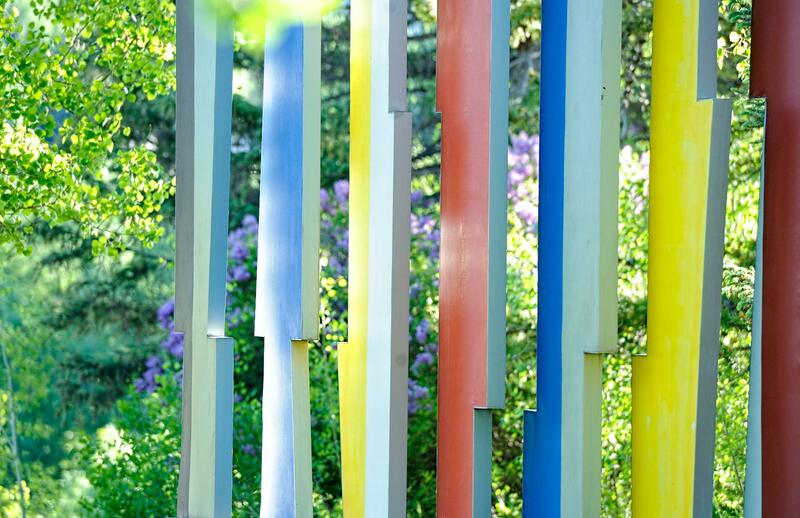 Ongoing: Regularly scheduled tours of the Aspen Institute campus which was conceived and designed by Herbert Bayer with Bayer architecture, sculpture, earthworks, ceramics, paintings, photography, tapestries, and more. Participating organizations will offer events, in alignment with their unique institutional mission, that raise awareness about the Bauhaus school. The goal is to educate the community and visitors about the Bauhaus through a diverse presentation of events. Event partners include: Anderson Ranch Arts Center, Aspen Art Museum, Aspen Chamber Resort Association/ACRA, Aspen Institute, Aspen Film, Aspen Historical Society, Aspen Music Festival & School, Carbondale Arts, Colorado Mountain College, Pitkin County Library, The Art Base, The Arts Campus at Willits (TACAW), and Red Brick Center for the Arts. For information and updates, visit Bauhaus100Aspen.org.